Amazon Theme Integrated Multiple Vendors for Magento 1 & 2 package is the best choice for people who want to build a website like Amazon with many advanced features, the unique interface and the powerful core theme. 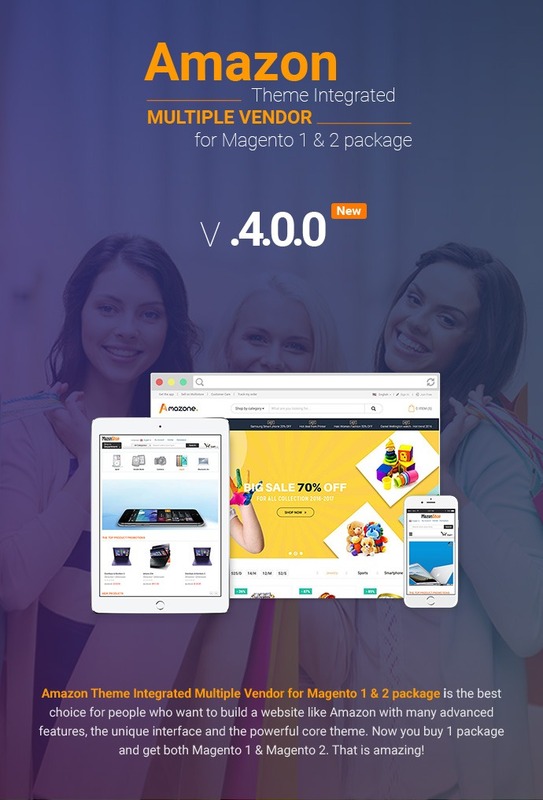 Now you buy 1 package and get both Magento 1 & Magento 2. That is amazing! The Unique Homepage: The modern Amazon home is available for you to choose. Category level 1: This page is a general category page which is displayed all subcategory level 2 of this parent category. Category level 2: This category will be displayed with grid/list view style. 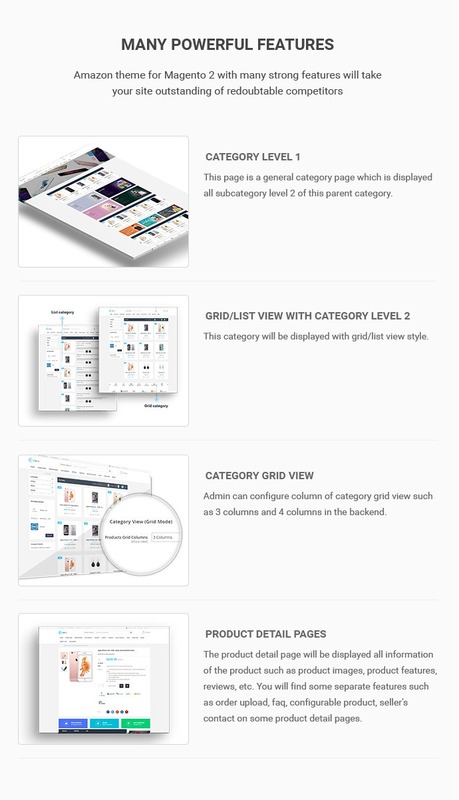 Category Grid View: Admin can configure column of category grid view such as 3 columns and 4 columns in the backend. Detail page: The product detail page will be displayed all information of the product such as product images, product features, reviews, etc. You will find some separate features such as order upload, faq, configurable product, seller's contact on some product detail pages. Easy to custom: With this theme, you can change image, select to show product in hot deal, features, new and best seller product and logo easily and quickly. Responsive design: With the responsive function, all layouts will be fitted on any different devices such as the desktop, mobile phone, and tablet. Header Setting: In the admin panel, you can import header types and see the default elements & static block of this header types. Moreover, you can select icons or images for the block which is suitable for your sites such as the searching block, the user block, and the cart block. Footer Setting: In the admin panel, you can allow showing columns or custom block and setting column size or the custom block size for the top footer, the middle footer, and the bottom footer. Content Homepage Setting: In the admin panel, you can select the available section, change the position of the section or select a custom block for body content of homepage. Theme Design Setting: In Design Settings part, you can set the color of the part as a basic color theme and you can set the color of some elements in the header & footer or change basic font size & basic font family. Mag2 Marketplace does not only have the attractive and beautiful design but also integrate many powerful modules that make your website better. Slider Revolution: Magento Slider Revolution is an innovative extension that displays your content in a wonderful way. It tells your customers your own stories by many effects through visual oriented interface and options. Category Icon: This is an amazing module that helps you select icon image for each category as you expect. New Products: Products which have recently created in the selected category will be displayed on New Product module of the homepage. Product Best Seller: Products which people want to purchase a lot in the homepage will be displayed in Product Best Seller module. Hot Deal products: Allowing admin to display the countdown of sales or promotions program in real time, or build anticipation for upcoming events. Featured Products: Products which you have marked as a Featured item that is on sale, in the season or back in stock will be displayed on the Featured Products panel. Ajax Cart Pro Extension for Magento 2 is an excellent extension for users who hate constant page reloads. It helps them add, edit or remove products from Ajax pop-up easier without interrupting the shopping process. Add multiple products without reloading page: Allow customers to add multiple products to cart quickly. Fast processing and smooth transition from the catalog page to the pop-up and vice versa. Quickly update mini cart: Easy to edit and remove products which have been added to cart right on top mini cart. Confirmation dialog popup: This popup appears after a client adds an item to the shopping cart. It allows customers to continue shopping or go to shopping cart page from the notification box. Support configurable products and custom options: AJAX cart is a pro solution that allows edits configurable products and selects custom options right from the category page with the help of handy dialog window. It is possible to display all custom options or only required ones. It saves your customers’ a lot of time without loading the detailed product view page. Works for all types of product: Ajax Cart Popup will work with all products as simple, configurable, bundle, downloadable, virtual and grouped products. Fully Responsive: This extension adapts with the most devices as desktop, tablet, and mobile. Your customer can shop anytime and anywhere. Add to cart on some pages: Ajax Add to cart is used in some page such as homepage, category page, wishlist and compare page. It's comfortable for your customer shopping. Animation effect: To make the shopping on your store more interesting, you can use animation effects for Magento 2 Ajax cart. Let's imagine how excited customers feel when products fly to Mini cart or My cart link. Mini Cart in Confirmable Popup: You can view numbers of products in cart and total price right in confirm popup without a mini cart in header or view cart page. Customize color: You can customize any colors for confirmable popup to match to your site. View cart and checkout right now: In a confirmable popup, there are 2 links: view cart and checkout so you can view cart or checkout after finishing shopping process. Loading image: When you adding a product to cart, it will appear a loading image in processing and you won't wait long. Support most custom themes: Compatible with all popular custom themes and it makes your website more professional and attractive. This is a great add-on module for your Magento store. The module allows your customers to find the product by writing a keyword in the search box. And the result will be displayed in the drop-down search instantly. Smarter and Instant Search: When your customers search any word in search box, it will return relevant results in a dropdown list within milliseconds. Automatically call out results when input some characters: Auto completes the search item after 3 (or more) characters are entered. Search by category: You can narrow search scope about product and quickly look for products you need through selecting category. Product Preview in results: If you want to provide fully information about products for your customer, you can set on admin to show all the information such as: image, a short description, price and ratings in dropdown list of search results when your customer looking for any products. Category Preview in results: With this extension, it's not only show product information, but also show categories that is suitable with key word that you are looking for. Responsive support: This extension is compatible with devices as: desktop, tablet and mobile. Let your customers feel free using their favorite device while shopping in your online store. Time to request: When a customer enters a word, "fast" or "low" time is depend on Admin. You can customize the time wait after enter keyword more fast right in admin panel. Display product reviews: To help customers make the purchase decision faster, you can show product reviews and ratings in the search auto complete window. Customize highlight text: Your customers can see highlighted texts/ strings while they are searching products and you can customize color of highlight text as you like. Customize width of dropdown list: If you want dropdown list of results wider, you can customize its width right in admin panel in order to see products clearly. Customize description: You can customize to show short description in dropdown list as you expect, it helps your customer able to make purchase decision quickly. Easy Integrate to Your Store Theme: This extension integrates with all themes and makes your theme become more professional and clear. 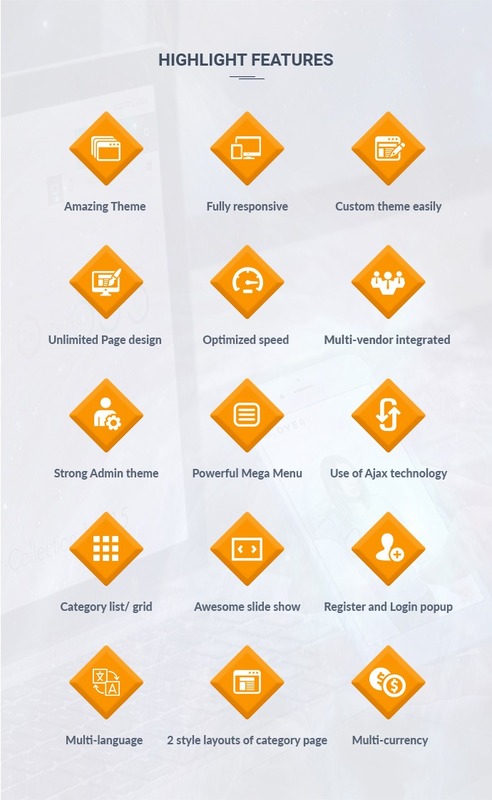 Magento Mega menu allows both users and administrators to manage and display all kinds of information flexibly and optimize your website navigation performance. Flexible Menu Layouts: With Mega Menu extension, you can view your menu with 3 options: Horizontal, Vertical or Both of them. That is an amazing function. Horizontal Magento navigation menu: Mega Menu Magento extension has an attractive horizontal menu to organize your categories, sub-categories and products easily. It shows all categories and you can choose any category you like. Vertical Magento navigation menu: This is a new function on this product, all name categories are hided in main Menu that make your site neat and clean. Both Horizontal and Vertical Menu: There are both kinds of menu display on menu that adapt customer favorites. 7 types of mega menu: You can select 7 types of menu content that makes your website more attractive in your customer’s eyes: Default Category Listing, Dynamic Category Listing, Static Category Listing, Product Grid, Product Listing, and Dynamic. Select menu item position: You can arrange position of Menu on top, left or both that is suitable to your website. Color Setting: Easy to change the element color in right dropdown menu in backend such as: background color when hover item, text menu color, text menu color when hover, product name and product price color. Optimize options with menu: Admin can arrange anything on menu with just few clicks and choose what they want to display. Responsive: Customer can view it on all devices as desktop, laptop, tablet or smart phones without any problem on presentation. Customize menu item: Admin can add, edit and delete category or menu items. Setting number: With 4 types menu "product grid", "static category listing", "dynamic product listing by category" and "product listing", you cannot set number of column to display in dropdown menu but you can set it with the rest. Custom block: You can display custom block in menu content type such as: default category listing, static category listing, product listing and content. Specially, you can create custom block right in menu content type setting area. Add to cart button in dropdown menu: With "default category listing" type, you can see some products and add this product to cart by "add to cart" button. Category labels: Easy for you to create a label of each category. Magento Quick View extension is an effective solution which customers can view product details quickly without leaving the catalog navigation page. Quickly view products in Catalog Widget: You can easily preview product in catalog widget as: homepage, categories pages…without going product detail page. Display a popup with all information: You only click on quick view button, you will full information about product as: name, price, product image…right in quick view popup. Supports all product types: Supports all kinds of products including Simple, Configurable, Grouped, Bundle and others. Display all product options in the quick view popup: With configurable product, you can view option about size, color…right in quick view popup. Fully responsive popup: Quick view popup completely compatible with desktop, tablet and form screen size 600px, quick view popup will disappear. 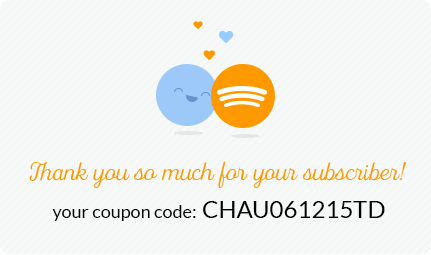 Support Multi stores: This extension can adapt to all stores so you can free your mind to set it up. Add product to cart right in popup: Customers can quickly add products to cart from a product popup. Browsing products becomes easier and faster, and encourages sales. Quick View button setting: You can set custom for Quick View button about: title, color text and button background. Perform other actions like on a real product page: This extension enables store visitors not only to preview product info, but to perform other actions as: add to wishlist, add product to compare, send an email and write product reviews. Display product detail page link: Enable / disable Product Link and specify the text color and hover color. If enabled then user will see a link to the product page for more details. Cross browser: This extension is compatible with all major browsers as: Chrome, Firefox, and IE 11. Brand listing page: A brand listing page will be created for visitors to view and select their favorite brands. Store admin can set the display of the list in the backend. Brand Detail Page: Customers can find all necessary information about brands such as brand logo, banner, description and product list on the brand detail page. All things are also configured by admin. Support Featured Brand: You can choose any brand to be a featured brand in the admin panel. Shop By Brand Filter: Allow customers filtering their favorite brands alphabetically. Many ways to search brand: You can search brand by many ways such as featured brand, search box and or alphabetically. Responsive layout design: Your customers can view brand listing page and brand detail page by desktop, laptop, and mobile. It is very convenient. Multi-store Support: Our Magento 2 shop by brand extension supports multiple stores, multiple languages and multiple websites. Product List in each brand: The store owner can add unlimited products under each brand. Display brands in sidebar: Allow setting featured brand and brand information which can be shown or not in the sidebar. Moreover, you also set the number of the featured brand to display in the sidebar. Show brand in product details page: The logo will be displayed in product page if the product belongs to the specified brand. And your customer can view some brand information in the product page. Shop by Brand on top menu: After installing Shop By Brand extension successfully, you can see it on top menu with the link inside. Product Count in each brand: Allow setting product count of each brand and it can be shown or not in listing brand page, sidebar or product page. Seo Friendly URL: Support SEO with meta keywords, meta description and custom URL for a brand. Support WYSIWYG Editor: Use WYSIWYG for a brand detailed description on the brand edit page. Easy installation & use: With some simple steps to install and configure, you can easy to set up this extension. Compatible with any theme: It is easy to integrate with other Magento 2 theme and it makes your website more professional and attractive. Order Upload extension for Magento 2 helps your customers to upload files or attach images directly on a product detail page to shorten their time. Upload files directly on the product details page: Shoppers can bind images or upload files directly into each product on the product details page when they place an order for this product. Upload files at the same time: Allow to select multiple files at the same time. And most of them are uploaded quickly at once. Multiple File Types Supported: Shoppers can upload almost any file types like jpg, jpeg, png, txt, doc, docx, xls, xlsx….Admin can configure which file types are allowed to upload in admin panel. Setting max file size: You can configure in back-end to limit size for each file to upload as you want. Fully responsive: This extension adapts with all devices as: desktop, tablet and mobile and your customer can use anywhere. Support with all products: This extension is work well with all products of Magento such as: simple, configurable, downloadable, bundle, grouped and virtual products. Interaction with uploaded files: You can add comments for each upload file and delete or download this file before ordering. Display uploaded files on the view cart page: After adding products to cart and if this product has upload files, you can see it in view cart pages. Display uploaded files on the checkout page: Shopper can upload different files/ images into different products and add all into cart and check out the same times. Uploaded file will display on the shopping cart page at client account. Display uploaded files in the confirmed order email: Display files in the Magento order confirmation email sent to clients/ admin. Used as a custom Magento product field: Used as a custom Magento product field, so you can allow which products are uploaded or not. Files are managed in Order Management admin panel: Upload images/ files are managed in admin panel. You know each uploaded files/images correspond each products in the same orders/ same buyers. And admin can download files. Support Multi stores: This plugin can adapt to all stores so you can free your mind to set it up. One Step Checkout Extension for Magento 2 is an excellent solution to reduce your customer abandonment and increase conversions. Only One Step Checkout: All checkout information such as billing address, shipping, and payment method will be displayed together on a single page for customers to fill in/ correct information without waiting or going back and forth. Google Suggest Auto-Fill: With Google API integrated, customers can see the matching addresses suggested as they type, then just select the correct one. The system will complete automatically address fields in a blink of eyes. Quickly update mini cart: Easy to edit and remove products which have been added to cart in Order Review of Checkout form. 100% Responsive: This module can adapt to any screen resolutions as desktops, laptops, tablets or even smartphone for convenient shopping everywhere. Auto AJAX Updates: When customers change their information such as an address, other sections as Shipping, Payment Method, and Order Review will automatically update in Checkout Form. Delivery Date & Time: Your customer can select date & time to receive this product right in the checkout process. Besides, delivery date & time will be configured in the back-end to suitable for your website. Gift Wrap Option: Your Customers can choose wrapping products right on the checkout page. Order review will be auto updated with the gift wrap fee added. Customize color: You can customize color font and hover color to suitable with your site right in the back-end. 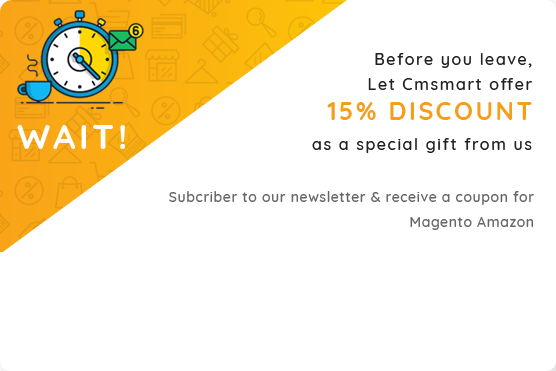 Support all Magento stores: This extension is compatible with All Magento stores, therefore, do not worry about it. Blog Extension for Magento 2 helps your customers get the latest news about your business via beautiful images, useful information, and unique posts. Customize the main column of blog page: There are 3 types of blog page: Blog page with a column, blog page with two columns and blog page with three columns. Create unlimited Blog Post: You can create, edit, delete and manage without limit Blog Post right in the back-end. Post categories management: You can create, edit, delete post category and select some posts for appropriate post categories right in the back-end. Comments Management: All comments of your customers will be managed in the back-end. You can delete comment or change status (enable, disable or pending) for each comment. Responsive layout design: Responsive design that works on desktops, tablets, and mobile devices. Multi-store Support: Our Magento 2 blog extension supports multiple stores for Category, Post, Comment, multiple languages and multiple websites. Content Navigation through Tags: You can allow showing post tags easily and based on post tags, you can find the posts in the fastest way. And you also able to configure a number of tags right in the back-end. Content Navigation through Category: You only click on Category in the Blog page and it will show all posts of this category. Post Search: Your customers can easily find posts they are looking for through post search in the blog page. Show Recent Blog Post: You can configure to display "Recent Blog Post" in sidebar of blog page right in back-end. Related Blog Post: Create relinks to another post to increase views and sales. Blog Post Information: You also configure to show some information to be sure blog post reliability such as Author and Created Date. Display related products: At a blog post page, the admin may choose to display products related to this post. Easy installation & use: With the simple step to install and configure, you can be easy to set up this extension right now. FAQ Extension for Magento 2 helps your customers understand more clearly about your product as well as your services based on a list of questions and answers. An overall FAQ page: FAQ pages will be shown all questions and answers, most FAQ, FAQ follows, FAQ categories, FAQ tags, and search tool. It will help your customers find questions faster. Show FAQ on detail page: When your customer wonders some problems about the product, they can click on FAQ tab on product detail of this product to see questions and answers. At the same time, they also can send their questions here by clicking "Ask us question" button. Show FAQ on category page: The shop owner can enable/disable FAQ part display on the sidebar of category page easily. FAQ display on the category will help your customer can view query while they are shopping. Create unlimited Q&A: You can create, edit, delete and manage without limit Q&A right in the back-end. FAQ categories management: You can create, edit, delete FAQ category and select some questions for appropriate faq categories. Ajax live search: With FAQ Extension for Magento 2, you will have an awesome Ajax search tool that helps your customers search questions faster. Works for all types of product: FAQ extension For Magento 2 works well with all products as simple, configurable, downloadable, and virtual products. Add a question with a nice popup: Your customer can add their questions easily with a nice popup in product pages of this product or FAQ page. Show FAQ on the sidebar: The shop owner can allow showing all FAQ on the sidebar of FAQ page easily and also configure a number of FAQ display right in the back-end. Show FAQ Tags: You can allow showing FAQ tags easily and based on FAQ tags, you can find the question and answer in the fastest way. And you also able to configure a number of FAQ tag right in the back-end. Show Most FAQ: With any questions that your customers often wonder, you can set this question belong Most FAQ. You can configure a number of Most FAQ to show in FAQ page right in the back-end. FAQ Information: You also configure to show some information to be sure FAQ reliability such as FAQ Author and FAQ Created Date. FAQ Category Color: It is easy for you to change Font Size, Text Color, Background Color, and Border Color that match your business brand. Change FAQ Category Icon: You can change FAQ category icon as your expectation right in the back-end to match your website. Store Locator Extension for Magento 2 helps you show your stores on one single map and your customers can quickly find the nearest store location and obtain directions. Methods to find a store location: Customers can search stores by area (country, state, city or zip-code) and by distance (fill a location and select distance). The search result will display as a list as well as the highlight on Google map. Fully Responsive: This extension is compatible with all devices as the desktop, laptop, tablet, and mobiles. Layered Navigation Module narrows product arrangement as the searching function by filtering products with multiple attributes. Search by product attributes: Look at the filter panel and make the desired product clear with Category, Style, Size, Color and more. Buyer can get the interesting items in the shortest time instead of walking around. Multi select Attributes: Each product attributes provides multi-choices and the customers are allowed to filter by one or more values at the same time. It will load results which is suitable with your options. Ajax Loading page: Layered Navigation supports Ajax Loading page which makes all of the matching results appear instantly after filtering any product attribute instead of reloading a whole page. So, it save time and improve site performance better. Filter Option: There are several options to display filters: Check box and Dropdown. You can select any display filter that is suitable with your website. Price sliders and other numeric filters: Price Slider control allows your customer to select a certain price range according to their purchasing intentions. The slider includes the maximum and minimum price for all your products and you move slider to find the most suitable price range or fill text box price. Fully Responsive: These extensions adapt with the most devices such as: desktop, tablet and mobile and so, your customer can shopping anywhere. In/out of stock filters: In/out of stock filtering option is a great way to save buyers' time and keep the product catalog perfectly up to date at all times. Set the number of filter result: Determine the number of filter results that will be opened when a customer clicks on the filter name. Attributes management: You can add new attribute for filter or allow nay attribute which can display in category to your customer filter through enable it in admin panel. Filter Display: With filter option "checkbox", you have 2 options to display for attribute: scroll and More/Less. Flexible remove filter options: You can clear all recently selected options in "Shopping By" and start a new filter. Supports multiple stores: This extension can adapt to all stores so you can free your mind to set it up. Easy to install and configure: With simple step to install and configure, you can be easy to set up this extension right now. 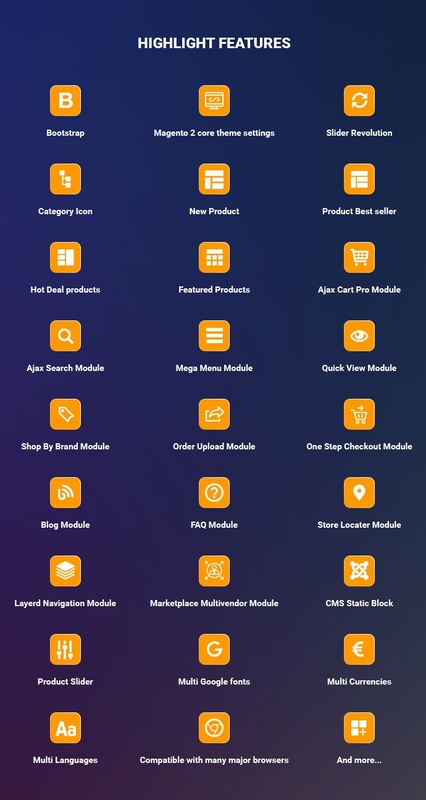 Marketplace Multi-Vendor Module for Magento 2 turns any Magento store into marketplace website. Your sellers will have full control to manage their product, sales, invoices etc… through a seller Cpanel. Separate Seller Interface: Provide a sleek interface for your sellers to manage their Profile, Settings, Products, Orders, Transaction List and Sales Report right in seller account. Seller Management: All sellers, as well as seller information, will be managed right in the back-end. Admin can changes status (approve/disapprove), delete seller and view seller information here. 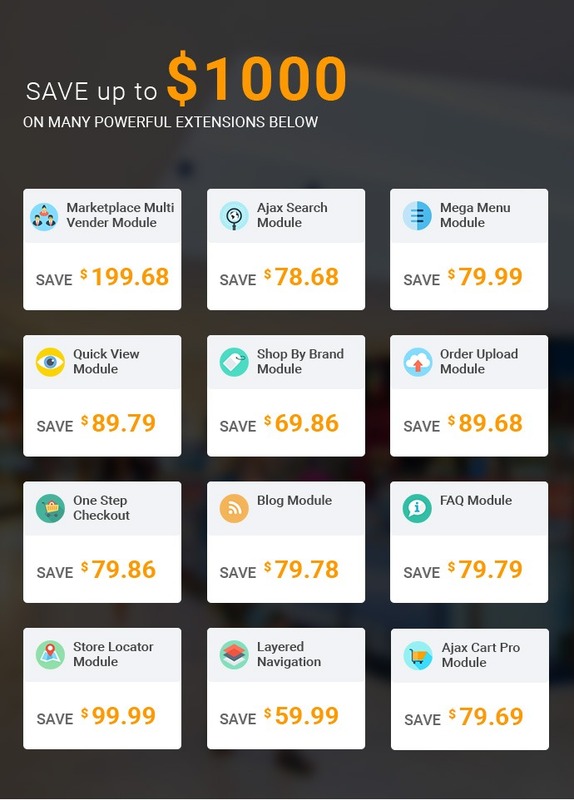 Support all types of product: Marketplace Multi-Vendor Extension for Magento 2 supports all product types available in Magento such as simple, configurable, virtual, downloadable, also using add-ons seller/vendor can create grouped and bundle product as well with attribute set. Flexible Commission Management: Store owner can set commission on global level which is applicable for sellers to whom specific commission has not been set, as well as set commissions for each Seller. Product, Seller/Vendor Notification Email: Admin receive an email when customer registers to become seller, seller adds or edits a product and seller receives an email when your customer contacts seller shop, admin approve/disapprove seller/seller product etc. Marketplace Seller Central: Your customer can see all seller shops in Marketplace page and they can buy products of seller shop here. Edit Profile Seller: Lets sellers to add and edit their store information and logo. Seller Attribute Management: Allow seller create an attribute for their product and admin will approve this attribute in the admin panel. 2 Types of Fixed/Percentage Based Commission: Our module enables 2 different types of commission settings: fixed and the percentage which can be configured for a seller in the Marketplace. Seller / Vendor Dashboard Management: Display sales report by using charts (Orders and Amounts), and filter the reports by year, month, week and day. You also view recent order here. Seller Order Management: The seller can see all order, order status and view order to see detail about the order. Seller Transaction Report: Includes all transaction amounts when an order has completed. Marketplace Management by Admin: All information that is related to seller such: manage sellers, manage seller products, manage seller orders, manage transactions will be managed by admin. Easy to register seller: Your customer can register to become seller easily right in their account. Approve seller product by admin: Admin can choose to auto-approve products or not. Approve seller order by admin: Admin can choose to auto-approve orders or not. Allow Associated Product: Admin can allow the seller to add related products, up-sell products and cross-sell products from seller’s panel. Configure types of SKU: Admin can configure SKU types of the product when sellers add a product in the admin panel. Multiple Vendor Product(S) Checkout At Once: Buyer/customer can purchase the product from various sellers/vendor at once. At the cart, buyer will be able to see the vendor name in the cart as well. Graph setting by admin: Admin can select types of graph and set the color for graph right in the back-end. Multi currencies & languages support: Support for multiple languages and currencies are available. Responsive design: This extension is compatible with all devices as: desktop, tablet and mobile. It's easy to sellers to use anywhere anytime. Integrated add-ons in modules: There are 3 add-ons as: Product Video, Vacation and Store Locator are integrated in module. 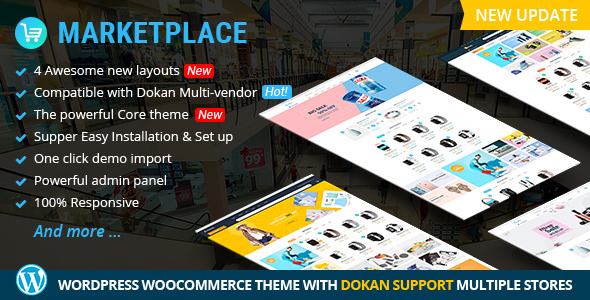 Multi-theme & template support: It is easy to integrate with other Magento 2 theme and it makes your website more professional and attractive. CMS Static Block: With using static block, you can create content for the category, allow admin to show items and promotions instead of displaying products in the category page. Product Slider: You can display many products in the hot deal, bestseller, new products, and featured products. Product hovering function: When a customer hovers a mouse on the product, they will see functions such as quick view, add to cart, and add to wishlist. It is very useful for your website to increase revenue. Multi Google fonts: We support multiple fonts in the admin panel which you can select the favorite one as you wish. Multi-Currency: You can set up currencies for your store to suitable for your customers around the world. Multi-Languages: You can set up language to suitable for your customers to make more sales volume. Compatible with many major browsers: This theme works perfectly with all major browsers such as Chrome, Firefox, IE and so on. The theme covers many advanced features that greatly enhance shopping experiences for clients. Typically, such smart applications as pop-up for log-in, register, quick view function, the drop-down list for user menu diminish significantly time loading for the customer. 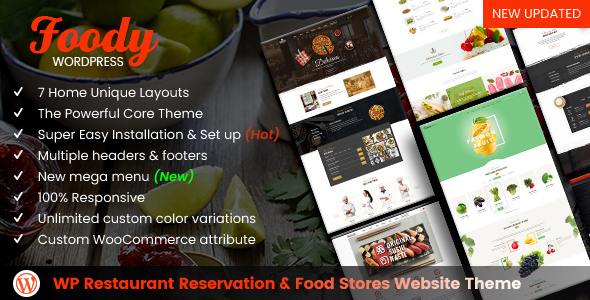 Additionally, it integrates default plug-ins in a unique way to bring the brand-new look of a Magento them and the brand-new feeling for a Magento theme. A vertical mega menu containing side drop-down categories with different types of custom HTMLs or Drop-down Ajax search module searching by categories deliver a lot of information to customers. The stunning component in the theme is the footer with an auto-run slider that optimizes the space to show product images and make the footer be livelier as well. The photos on the slider can be customized easily in admin panel with unlimited numbers. Amazon website has product sliders on the home page which basically increases the capacity of your store and provides a lot of information to customers. The theme possesses additional features that significantly enhance shopping experiences for shoppers. The stunning component in the theme is the footer with an auto-run slider that optimizes the space to show product images and make the footer be livelier as well. The photos on the slider can be customized easily in admin panel with unlimited numbers. One more outstanding feature of the theme is that it can include 2 layouts for 2 different product ranges, very interesting. To Ajax cart, it helps user easier in checking directly and quickly shopping information in a drop-down cart in line with flying image effect bringing a great experience for clients. Especially, slideshow with smooth transition effect runs automatically or manually by button. Customer can select and compare multiple products together by clicking the "Add to Compare"
The customer can flexibly change the display styles to view the product as list or grid. A fully customizable Slideshow comes with a flexible slideshow that allows adjusting content alignment, width, slideshow height or even make it fluid. Amazon website allows you can change transition effects, speed, timing, etc. Moreover, Slideshow comes with touch navigation for mobile, and you can set the slideshow to be displayed on every store page with Global slideshow option. The header is elegantly designed with a nice logo. The logo is supplied with PSD files and can be replaced easily with your own logo. 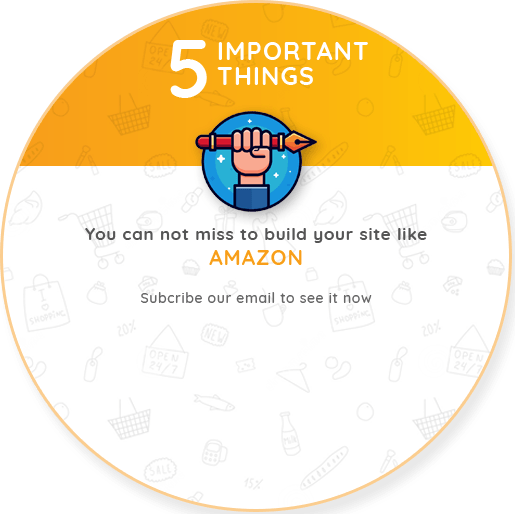 The footer of Amazon Magento theme is redesigned so you can create more helpful content for your customers. Moreover, a home page needs flexible adjust the layout. It will be best if you can choose the layout of the home page: one, two or three columns. Display custom content in multiple sidebar blocks. Enable/disable default sidebar blocks. 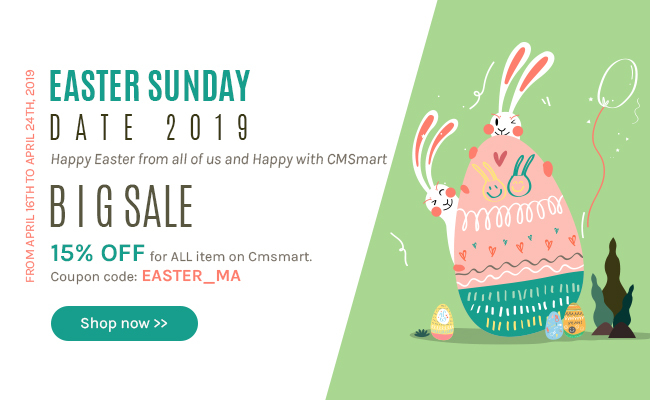 You will have a chance to customize your online shop with two kinds of the category page's layout provided by Cmsmart developer team. Responsive theme (new) - This Amazon theme is completely compatible with desktop, tablet, and smartphone. You will great layout in all above devices. Custom theme - You can sell all goods that you want to Amazon and you can change information, a logo to suitable with your website. 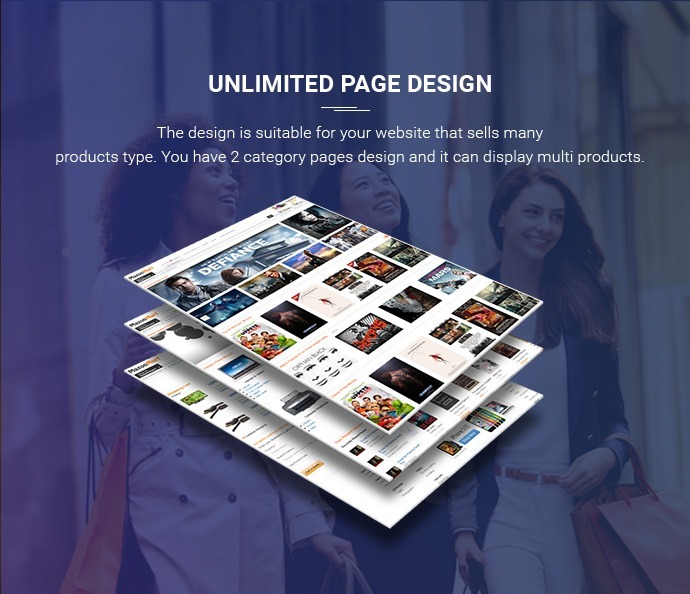 Unlimited page designed - Design is suitable for your website that sells many products type. With each category, you can separately design and it can display multi products unlimited. Optimize speed - This theme is optimized aim to load speed faster and your customers feel satisfied with your website. 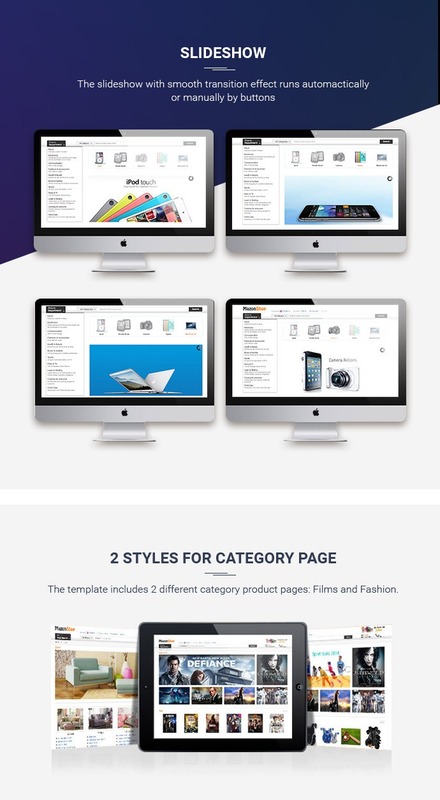 2 Styles for category page - The template includes 2 different category product pages: Films and Fashion. Magento Multi-vendor marketplace will support various add-ons from payment split to seller/vendor auction and from vendor shipping management to vendor's eBay shop connection. Magento multi-vendor module works very fine in a community and enterprise version of Magento. Working with All the Templates (Including Responsive Themes) and source code is Open so can be easily customized. Separate seller / vendor profile / micro site. The seller can add banner, shop logo custom HTML text. Seller / Vendor product search in vendor panel. Contact to a seller with cache support. Back-end admin product assignment for a seller account. Seller Dashboard will display the current status of the product account e.g. - pending, complete, processing. Multiple category selections in tree node structure. Special price, special price from to special price to. Ajax checks for vendor/seller shop URL. Seller / Vendor Enable disable from an admin of the store. Allow to a seller to edit shop URL for Profile page, collection page, review page, Location page. Admin will allow the specific Product Image Type for the product images when a seller adds the product. Admin will allow Product Image Type for the product image when a seller adds the product. Multi-Lingual support / all language working including RTL (http://en.wikipedia.org/wiki/Right-to-left Hebrew and Arabic). Interactive view for seller profile and easy to upload seller logo and the banner with colors. All product type Simple, Downloadable, Virtual, Configurable, Bundle, and Group Products (using add-ons) supported. Latest order at vendor dashboard and order management using shipping add-ons for the marketplace. All Templates working including (ultimo, template monster and theme forest). Working fine with all languages. Store Owner or Admin can limit the category(s) for the sellers/vendor i.e. the vendor can add the product on allowed categories only. Fully Responsive Design: Now Responsive is one of the essential functions that should have on the website. Your customers can view your web through any devices as iPods, tablets, and mobile. A tons color skins: That is suitable for many kinds of favorite and style. It enhances customers experience on your website. Unique, clean, attractive and elegant interface with rich features: Admin theme is clear and attractive user interface. REGISTER AND LOGIN POPUP - Your customer will feel comfortable with our register and login popup. Just open it and fill full information and finish it quickly without loading other pages. MULTI-LANGUAGES - You can change the multi-language to suit the user in the back end of the product. It is easy, only a few seconds. MULTI CURRENCY - Depends on different countries, you can show the type of currency that you want to get. AJAX SEARCH - This extension will help your customers find out product by using keyword within a few second. AJAX CART - With this extension, you can add product to cart and update number product in a cart without loading page. ZOOM EXTENSION - Your customers can view image clearly when hovering over product image and this makes them have exciting experiences. SLIDESHOW EXTENSION - The slideshow with smooth transition effect runs automatically or manually by button. SPECIAL MENU MODULE - The menu module is written with a special style; you only hover over each category and it will display all products that have here. WISHLIST - It helps your customers to add their favorite’s items to the wish list cart. Based on that, the shop owner can give a suitable sales campaign for each object of customers. COMPARE - It helps you to add various items into a place to compare to get the final choice. Really excited when I had a complete website built with Magento theme. The story about how I experienced your product might be long to tell but I can summarize that great marketplace with full function. Try it if you desire the success. As a non-technical Founder running an early stage tech startup and have no IT department for my own, I think Magento Amazon theme on Cmsmart is a sound decision. The features added to the theme even make my web store look far better than Amazon. Should use! You have a good product. I am happy about your service too. Thank you for solving my issues. The best choice for building a marketplace with Magento platform. Hope to see the new update version with more outstanding features. This is great, font, style, layout , site speed, are all good. Even I can upload a lot of files for different products just in few minutes. Great!!! Since installation, no bugs and no conflicts have been detected. This package might not be the cheapest on the market but I think it is the best in terms of quality. I am satisfied and have been using it so far. It has fulfilled all my requirements and bugs free. Great job! Yeah! I have been waiting for Magento 2 version for a long time, I'm so glad when it's released. It's so great! Love it! Hi guys, It's my pleasure to work with such professional team. With your enthusiastic, my website looks so great now and works so well. Once again, thank you so much! 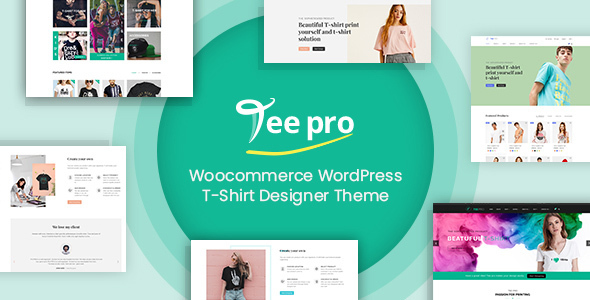 This Amazon theme was more expensive than most other themes on Themeforest however the moment i saw it i loved its rich features and design so much i could not forget it, i just had to have it and would have paid any price to get it..!! and since my purchase of the product the themes developer did a great job installing it perfectly for me and helping me solve some other minor issues very quickly, i could not be happier with the theme or the customer service, Evan is a super guy. They provide great customer support and service.I recommend everyone. Amazing theme! I'm using it for my website and i'm loving it. I can really recommend Responsive Magento Amazon Theme for any one. Hi Team, this theme works well .my customers easily see detail information of products on it. hope team continue supporting well products as well . Product is very good and helpful. Design is nice with powerful function and support team awesome. I recommend this theme! Beautiful theme with full features. The support team provides great help in instalation. Thank you and keep up the good work! The installation step is very easy. My site look great now and the color is amazing. Thank you so much! This theme is excellent. Thanks to design created theme very good. My web is managed easily, convinient and have many people reached. A great product for us and my customers. Hopefully there will be many good products like this. Thanks and best wishes for you. The interface is lively, with product slider on the home page provides more information for customers, many interesting features, I love this product. Interface nice site, I can help showcase the highlights and unique in my shop, many thanks. Your product is very good my customer can purchase any time, anywhere with their mobile phone, So that my website have more good feedback from the client! Why is Amazon Theme Integrated Multiple Vendor Package used for both Magento 1 & magento 2? Because this Amazon Package includes 2 different packages: One Package is used for Magento 1, and another is for Magento 2. You can use any package for your website after you purchase. What is the difference between Amazon Package and Magento 2 Marketplace Theme Package? The Amazone package includes 2 packages: One for Magento 1 and another for Magento 2. We recommend you to use the Package for Magento 2 while Magento 2 Marketplace Theme is used for only Magento 2. It has 8+ templates, including the Amazon package for Magento 2. Will the theme work fast after installation? Which hosting will you prefer for it? Yes, it will. For this theme, you are recommended to use the shared hosting or dedicated hosting. Our theme can run well on two kinds of hosting. The dedicated hosting is more expensive but more powerful. Before making a purchase decision, can I get the demo backend for testing please? Does this theme support multi-languages, and multi-currencies? Yes, it does. It supports multi-languages and multi-currencies. Is this template compatible with many browsers? Yes. It is responsive with any devices such as the desktop, mobile phone, and tablet…. With Multi-vendor extension integrated with this theme, how can customer checkout if they want to buy many products from many sellers? Customer can purchase products from various sellers/vendor at once. At the cart, buyer will be able to see the vendor name in the cart and checkout at once as well. Can I set the different commission level for each seller? Can seller add their social account as Facebook, Instagram and twitter, etc.? Yes, seller can add all social account on their info. If I buy your package, can you help me to install it because I don’t have much experience in installing? Yes, of course. We can offer free installation service for you. After your purchasing, our dev will install exactly with our demo for you. I do not have a PayPal account. Does your system support other payment methods? I did the payment, why didn’t I receive the downloadable link? + Standard Payment: For this type, you will pay once to get 6 months of download, update and support from us. After that, if you want to get more support, download, or upgrade, you need to buy our product again. You are recommended to choose the auto-renewal based on my experience and our customer's. 2) Is theme update free of charge? 3) What will happen if I try to update theme? Will this break my current settings / modifications? 1. When you download our product and use user guide for the customer, you will see a version of the template in this. 2. You will be updated, download, support free within 3 months after purchased our products. After 3 months, you pay the only small fee for recurring to continue to all benefits above. 3. If you customized our template, when you updated theme it will break it. But you don't worry, if you hire our developer team to customize it, we will setup and your site will not break. If you have any problems, feel free to contact me. 1- I have a new web site but i still not yet opened...and im testing the Magento but some time I do re install... am i going to lose my license if i have done this action? 2- my web site will be for 50% for Arabic and 50% for English customers and i need to use right to left... can get this one? 3- im using sub domain as development "sand box" area for me...can i use same license? or it will be calculated as new domain? 4- im confused regarding sample data.... actually if i got the theme 79.86 $ will it come with sample data or i have to pay for it "Magento Theme Installation With Sample Data" 69 $ ? I am Janet, happy to work with you. Below is my answer for your questions. 1. No, when you have done your actions, you don't lose your license. 2. In current version, our product don't support for Arabic, but our developer team can custom for you if you want. 3. If you don't publish website in sub domain, you don't need to buy license for sub domain. 4. Sample date is included in our theme, but if you don't install your data, you should buy Our service, our developer team will install for you. I have seen your order. If you want to custom for Arabic, you need to pay fee for our developer. And our team will custom after installing the theme. can i have a up to date installation Guide? Responsive Magento Amazon Theme is updated Responsive function so Installation Guide still remains unchanged. Hi, love your theme, looks awesome! Do you have any estimated date for issuing support for Magento 2.0 ? Thank you for your compliment and questions with our products. We will test the next time, but does not release for Magento 2.0 within next 6 months. The main reason is there is not enough extensions for Magento 2.0 on the market and it will not good for stable web shop. And Magento 1.9.x is perfect at this time, it is used more popular, compatible with many extensions and it still offers a full range of features. You should build your business base on a stable and robust platform. https://cmsmart.net/demo/magento-amazon-theme - I have small clarifications. 1.This is full responsive theme ? 2. Do we have auction functionaility like amazon ? 3. Do we have marketplace like amazon or default magento ? Please confirm to purchase this one. 1.This is full responsive theme? - At this time our product not have auction functionaility however it have feature compare product. You can see it again at our Demo. 3. Do we have marketplace like amazon or default magento? - Yes, sure you can rest assured. With all your request, I think our product is The best choice for you. Do not hesitate any longer, let quick buy our product to have wonderful experience. Yesterday a developer organizing the wedding and all our staff go to the his wedding party. Now please help me follow your ticket. hello why you are not responding to my ticket? and why deleted my comments? Yesterday a developer organizing the wedding and all our staff go to the his wedding party. So we was cannot check and reply for you immediate. However we didn't delete your comments, please help me re-check your ticket. Now please help me follow your ticket. If I purchase this theme will it come with the sample data or not. I need the sample data along with the template so the site looks exactly like the demo site. I would like to install it myself and do not want to pay extra for installation with sample data. I just want to make sure that the sample data is included in the download package. Thank you so much for interested in our product. You assured, sure that the sample data is included in the download package. Looking to hear your purchase. Thanks. One last question. It says it is responsive theme. But the demo is not responsive when i open it on my mobile. Just wanted to make sure that it is responsive theme and it will work on all the mobile devices as mobile theme. We have yet update demo, however sure it is responsive theme and it will work on all the mobile devices as mobile.